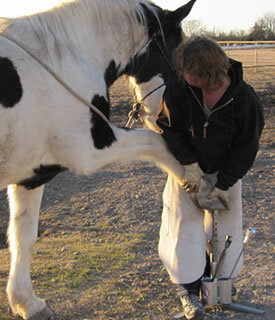 Barefoot-South provides barefoot equine hoof trimming and care services for the whole of the South East of England. That is our only agenda; your horse's health and soundness; we don't promote any particular products, boots, feeds or otherwise. The focus is always what is going to work for you and your horse.. Although based on the Kent Sussex borders, Barefoot South provides barefoot trimming for the whole of the South East of England - including: Norfolk, Suffolk, Essex, Kent, Sussex, Surrey, Berkshire, Hampshire and Dorset. Visits to other locations can always be arranged, please get in touch to find out more. Lucy has over 24 years of experience of owning and managing barefoot horses, and since acquiring Grace she decided to turn professional and instead of just helping her horses – she could help many others. Lucy qualified with the AANHCP and has been a leading barefoot practitioner in the UK for several years. Lucy provides cover for parts of Kent, Surrey, Greater London, Essex and Norfolk. Covers Norfolk, Suffolk, North Essex and parts of Cambridgeshire. 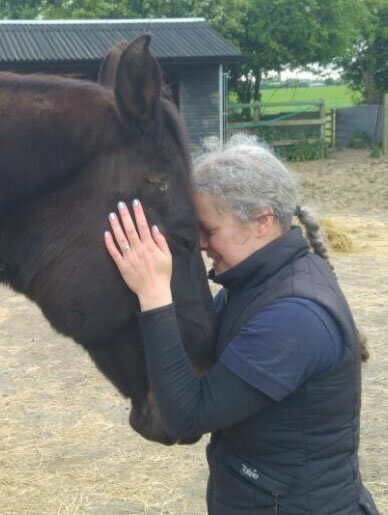 A degree educated, highly professional and experienced horseperson; Julie has wide ranging experience in the horse world, but specialises in barefoot horses and behavioural issues. As the head of Barefoot South I have been working with Julie for over three years. Customer feedback has been unanimously positive and Julie is one of the very few people I would let touch my own horses’ feet. If Julie covers your area you are a lucky person indeed.